My leg bounced up and down at a hundred times per second as I sat in an old, grey, and uncomfortable seat outside of gate 4B. My brother&apos;s voice echoed in my head, deep and harsh, not at all like the boyish tone I remembered. Don&apos;t call me. What do youwant? His words seeped into every contour and space within my mind, rattling old drawers that were sealed long ago. "Arriving, service from Vancouver, British Columbia, Canada. Gate 4B." My stomach twists into a tight knot and my bouncing leg doubles in speed. "Darlin&apos;, if you keep doing that the floor will cave in." I turn around to an old man who sits in the seat opposite to mine. "Nervous?" the old man asks me. "Maybe. So who are you waiting for?" "So what is there to be anxious about?" the man tells me, his eyes crinkling as her smiles. "It was a bad separation." "Don&apos;t worry dear, family is family. I&apos;m sure you will get past it." he says kindly, patting my shoulder. "Thank you." I reply, and he smiles before turning back to his crossword. After that I sat in the chair worrying my hands together in complex patterns that sometimes hurt me more than they distracted me. Twenty minutes later the plane lands, and I restlessly gnaw on my lower lip as the doors open to the incoming passengers. I stood up and watched for a man with blond hair and brown eyes. The first person to come out of the long hallway looked tired and annoyed as if it was him who had to sit in front of the three year old that kicked at his seat for the whole flight. People came out in clusters but also all alone. Everyone who came out seemed to have someone to greet them and hug them. I was still standing alone holding a stupid sign with his name on it that could be mistaken for enthusiasm. There was a gap between the next person that came out. I eventually started to wonder if that was it and Jeremy had missed his flight. The people started to walk away, arm in arm with someone else or holding hands. I looked around making sure a pure blonde boy hadn&apos;t escaped my vision. I tried to remember what Jackson looked like when I left. His face was pale and innocent, his long blonde hair would always be falling into his brown eyes. He was always small and weak looking. His brown eyes were too big for his face and he always seemed to be marked with bruises, blood, or dirt. The sign I was holding was hanging limp at my side. I was still watching the other passengers and I was considering walking away and calling Jeremy some other day but this situation was different, we were all that was left of our family. I sighed shakily. My ears perked up and I turned around at the sound of a single person&apos;s footsteps. It wasn&apos;t him, this man had black hair and dark eyes that I couldn&apos;t see perfectly from this far away, although I could tell that he was muscular and had probably been in the military, or suffered through a lot. I frowned and looked at my flimsy sign again. I held it in front of me with both hands in case I had missed him, knowing that things tend to slide by me easily when I&apos;m nervous. I saw the dark-haired man glance at my sign and falter in his confident walk. I turned around before the man caught me looking at him. 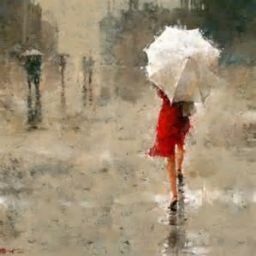 I started walking away and scanning the other terminals for the blonde boy that had been haunting me every moment since I called him. I weaved around and sometimes between people to get through. 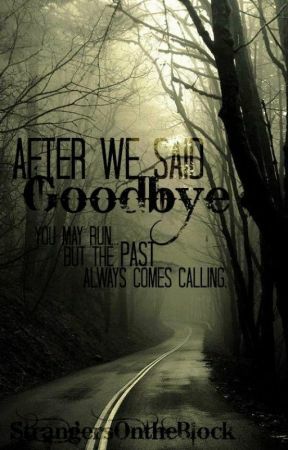 I constantly heard the same footsteps trailing behind me but when I looked back I saw a different person every time. A hand landed hesitantly on my shoulder as if whoever it was didn&apos;t want to touch me let alone face me. I turned around breathing in sharply. It was the man with the black hair and dark eyes which I now saw were a warm brown. I knew those eyes. I grew up with those eyes. I protected those eyes. "Jeremy?" My voice came out in a scared whisper. He nodded, his hand hovering above my shoulder still. I rocked back and forth on my feet for the minute that was stolen by the awkwardness and silence of our reunion. "Hi," I whispered not sure what else I could say. What else I would be willing to say. "Hey," he whispered back. I could see how hard he was trying to keep the hurt in his eyes from leaking into his voice. I took a step back and dragged my hand along my face, rubbing my eyes. My breathing was coming rapidly. This was really happening, I wasn&apos;t dreaming, right? He started walking ahead, his jaw clenched, and I turned around to follow him. I pinched my arm slightly just to make sure I was really here. Ohgod,ohgod,ohgod. I took a shaky breath and hurried to catch up to Jackson without getting too close to him. "How have you been?" I asked wanting to try to get past the stiff awkwardness radiating between us. "Did you really ask that?" He asked without turning back to look at me. His voice was clearly twenty times deeper and a hundred times rougher, and was void of the tint of childish innocence that it once held. "Yes," my voice was tiny. "Don&apos;t bother. It won&apos;t make a difference," he said, no emotion seeping into his voice. I only nodded and continued to walk silently next to my little brother that now towered over me, nothing like the little vulnerable blond boy I grew up protecting. 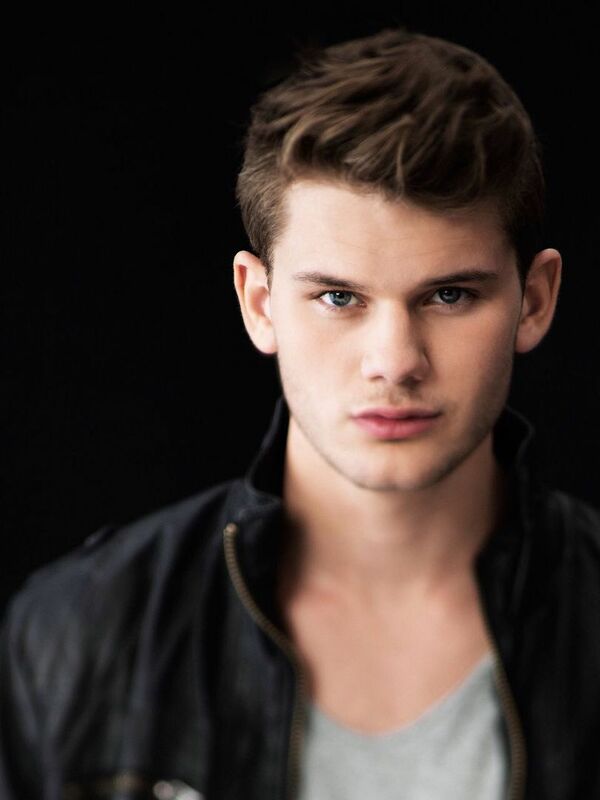 The picture for this chapter is Jeremy Irvine and he plays Jeremy. In case you have already read this, We decided to switch Jeremy&apos;s names around. The one he was given is now Jeremy and the one he chose was Jackson. If yo haven&apos;t read it before, we&apos;re glad you are now and don&apos;t worry about anything I just said. Please comment and vote and tell us what you think!